Irish Soda Bread Pudding with Bailey’s Crème Anglaise is a special dessert packed with amazing flavors! 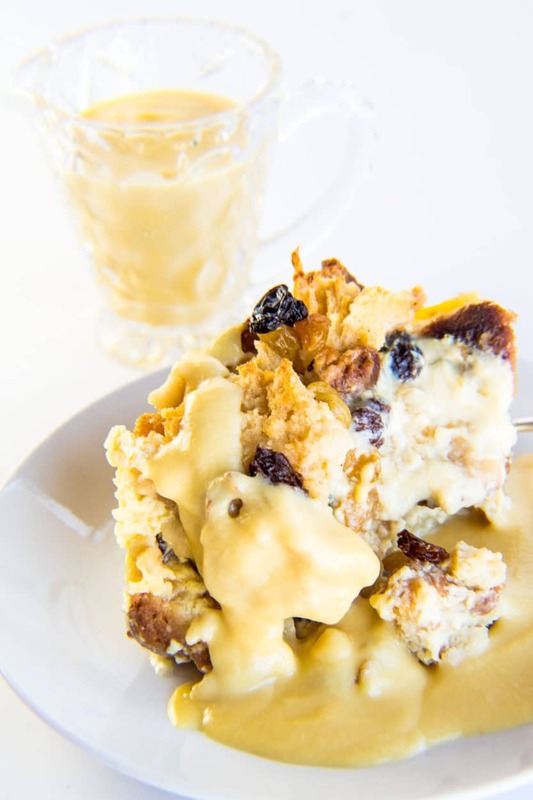 There is something truly special about this Irish Soda Bread Pudding with Bailey’s Crème Anglaise! From the consistency of the traditional soda bread in our bread and butter pudding, to the hint of Bailey’s in the ultra rich crème anglaise. Everything combines to make a very special dessert to satisfy any sweet tooth or celebrate any occasion!! Of course, the Irish soda bread and butter pudding can stand on it’s own. It needs no accompaniment. BUT, it sure tastes heavenly together! If you already know that you are a fan of bread pudding, then you will be delighted with this version featuring chunky soda bread. It offers a different texture that holds up well to the moisture of both the baked bread pudding itself, as well as being topped with the Bailey’s Irish Cream Crème Anglaise (amazingly, your left over bread pudding can even be stored after being smothered with the sauce)! Stored and re-heated days later, this bread pudding still has an amazing texture! 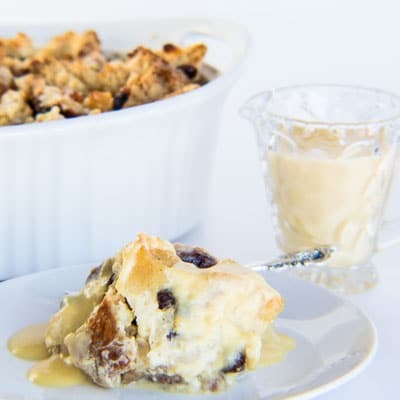 Plus, our Irish Soda Bread Pudding is a great dessert for making ahead of time, as it can be assembled and refrigerated until you are ready to bake it last minute for a special occasion. Same holds true for the crème anglaise, it can also be made ahead of time and refrigerated until ready to serve! All of these added conveniences make this Irish soda bread pudding a great dessert to bake up for St. Patrick’s Day or any day! Enjoy! This amazing version of bread pudding brings the best of so many things together! The texture of soda bread makes the best bread pudding, and the hint of Bailey's Irish Cream in the ultra rich crème anglaise is pure heaven! Soak both raisins and golden raisins in warm water for 30 minutes prior to starting your bread pudding. Rinse and drain. Butter your baking dish (we are using a 2.5 qt casserole dish, but a 9 x13 pan or a 9 x 9 x 2.5 pan work too). Tear your Irish soda bread loaf into chunks (you may not need the whole loaf to fill your pan). Layer your torn bread chunks with the soaked raisins. I usually do this in thirds, ie. a layer of 1/3 of the torn bread chunks, topped with a third of the raisins. 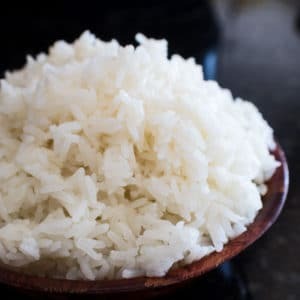 Repeat two more times until your dish is full but not overly full. *The bread will expand, you do not want your bread pudding overflowing. In a medium to large mixing bowl, combine the half & half (or whole milk), eggs, yolks, butter, sugar, vanilla extract, and nutmeg. Whisk until well combined, then pour over the layered bread chunks and raisins in your baking dish. 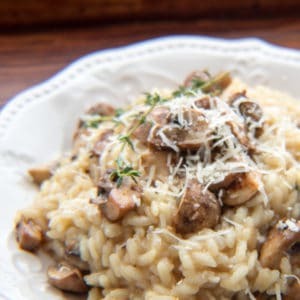 Top with additional freshly grated nutmeg, if desired. If your pudding mixture does not come to the bottom edge of the top lip of your baking dish, you can use milk to top off the bread pudding. You want your bread pretty well covered with liquid. Allow your bread pudding to soak in the mixture for about 30 minutes, then preheat your oven to 320 degrees F (162 degrees C) and make sure that your oven racks are in the middle of the oven. Bake your Irish soda bread pudding for 55-60 minutes, or until the pudding is firm (should be set but still soft) in the center of your baking dish. The top will be golden brown and the pudding will be set between the bread pieces. Remove from the oven when done, and allow to cool before serving. If using a 9 x 13 pan, you will have a thinner layer of your bread pudding. 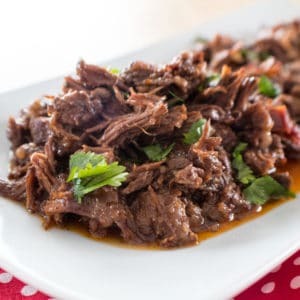 Check this at 40-45 minutes as it will bake faster. 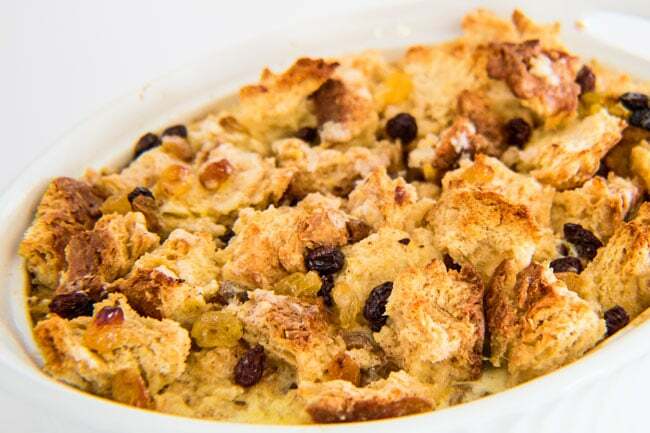 Serve portions of your Irish Soda Bread Pudding with Bailey's Crème Anglaise poured over each serving. In a medium saucepan, combine the milk and heavy cream. Bring the milk to a low simmer, then remove from heat. In a medium mixing bowl, combine the egg yolks, sugar, and Bailey's Irish Cream. Gradually whisk in a bit of the hot milk, adding a drizzle more each time to temper the eggs (and prevent curdling the eggs). Return the custard to your saucepan and stir over low heat until the crème anglaise thickens and the egg is completely cooked (about 4-5 minutes). DO NOT BOIL. Transfer the sauce to a bowl (you can strain it, if desired, for a super smooth crème anglaise). Allow to cool before serving or storing in the refrigerator.